The ills of society are properly resolved and are well acted upon for the better if not the best solutions when every member of the society is helping each other. Everyone is doing their moral, educational, temporal and spiritual duties and responsibilities. The pupils of Cubay Elementary School seemed to be benefited with these opportunities to grow and to strengthen their well-being as a law-abiding citizen, as strong faith believer and as a well-educated or well-informed members of the community. These efforts were facilitated by the concerned representative of the police department, the religious sector, and the health team of the division of La Carlota City, Department of Education. Everything was facilitated and every pupil was assisted, fed, and motivated to be a better citizen of his community where he lives. 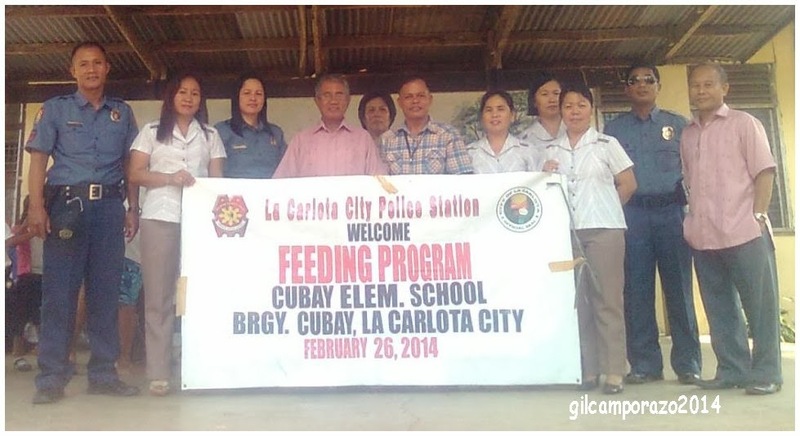 Pastor Melchor Gamboa with the partnership of La Carlota PNP through SP01 Arnel A. Mesobre, community press relation officer conducted a half-day feeding program for nearly three hundred pupils of Cubay Elementary School. Pastor Gamboa disclosed that the societal activity on transformational relationship as represented by 5 P's like the pastor, police, parents, principal, and the pupils is so vital and so effective if they do cooperate among themselves. He presented the the basic role of each person in the society through an analogy of five fingers. He humorously described and cited the role of each finger in which the pupils found it so interesting and amusing. Thus, every pupil absorved the importance of being active and participative as far as their welfare and the well-being of the whole community not only in terms of spirituality but also of being united and cooperative. 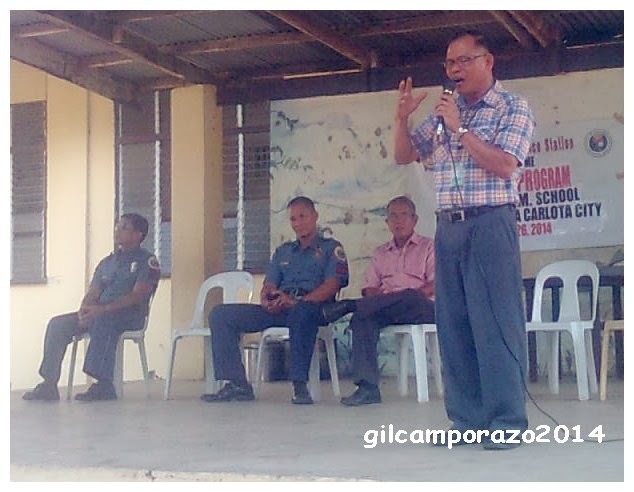 PO2 Rebecca Parreno spoke on the relevance of being protected against abuses among women and children. She emphasized the role of every child especially his or her right to be safeguarded and protected against crime and abuses. While SPO1 Arnel A. Mesobre expounded on the role of the national police to serve and to protect the civilian or the people. He informed the pupils that they have the moral obligation to report any incidences of crime, violation of law, thief or robbery to the police. He said this could be an opportunity for them to prove how law abiding citizens they are. 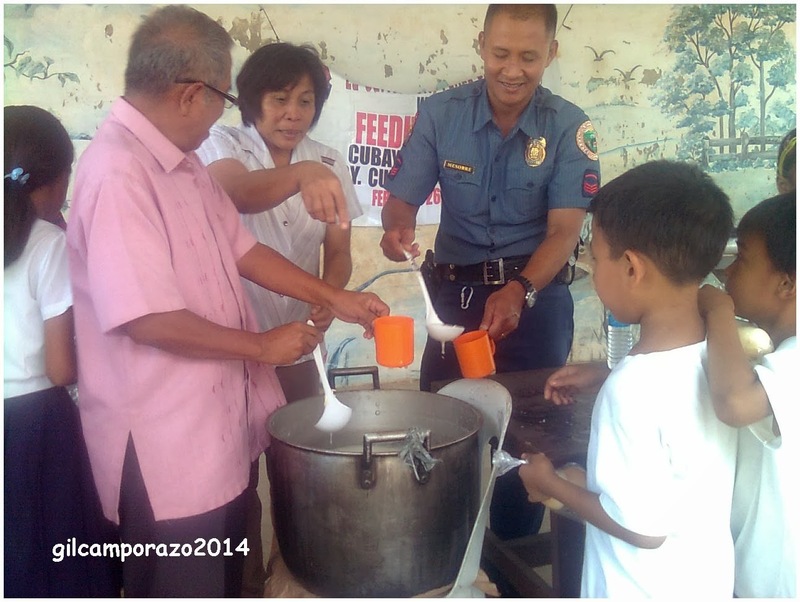 After the pupils from kindergarten to grade six have been spiritually, morally counseled as a law-abiding citizenry, they're given several scoops of arroz con caldo [rice soup with bits of chicken meat] and two pieces of bread courtesy of the religious congregation of Pastor Gamboa with the partnership of La Carlota PNP. All pupils were fed from 4 big cauldron of nutritious porridge. After a few hours that these pupils had been fed, the health team of the Division of La Carlota City composed of Dr. Ivan Corgos and RN Carlota Garcia with the assistance of Brgy. Cubay Health Workers like Ms. Buena Alositain and Mrs. Nelly Oliveros selected pupils from Kindergarten to Grade 6 with parent's permit were dispensed with a oral dose of Albendazole to get rid of their intestinal parasites. 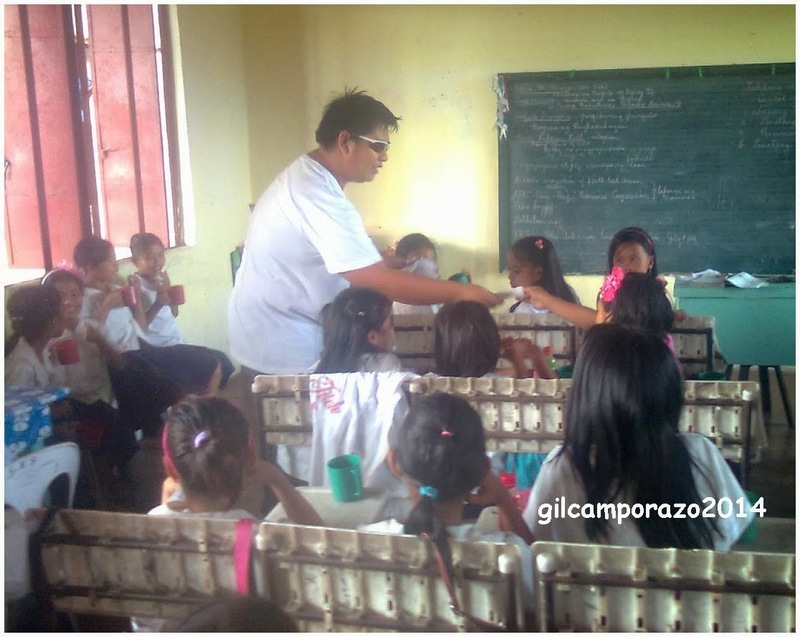 Deworming is a regular health program of the school through the health team of the division of La Carlota City. This day the Cubay Elementary School is well blessed of this wholesome program for their spiritual and health well being. The parents, the teachers and the community know what the Lord has in stored for the best for the children. The parents, the school principal, the police, the pastor and the pupils should jointly work for an effective transformation and values formation among the members of the society.